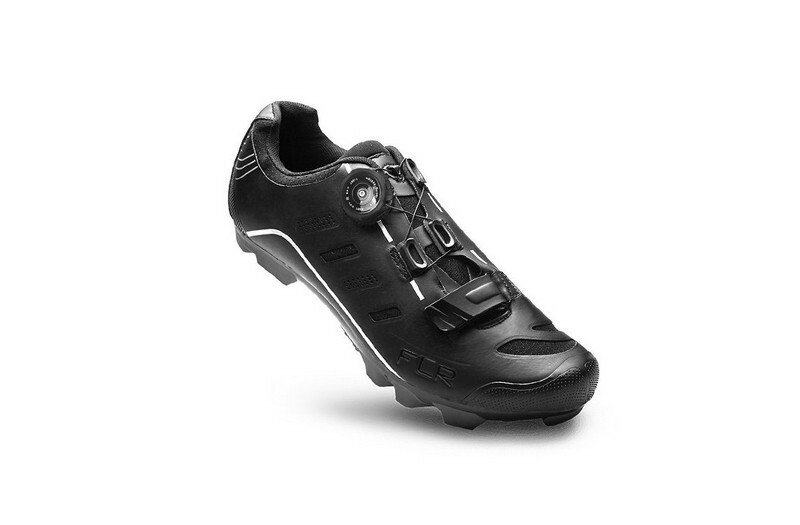 The F-75 II combines advanced technology, efficient power transfer/output and continuous comfortability, making it the ultimate synthesis of the many desired advanced features in a MTB shoe. Constructed using the M350 carbon plate outsole, the F-75 II delivers a stiff, powerful and efficient pedal stroke for excellent power transfer. Featuring a nylon front/back sole material allows for vertical as well as torsional flex and added comfort. The shoe upper is constructed from a seamless synthetic microfiber with nylon mesh inserts for optimal ventilation and sports the easy to use reel knob lacing system designed to provide a secure and precise fit. Additional features include widely spaced TPU walk pads for a more secure grip and removable toe spikes for added winter weather / cyclocross traction.